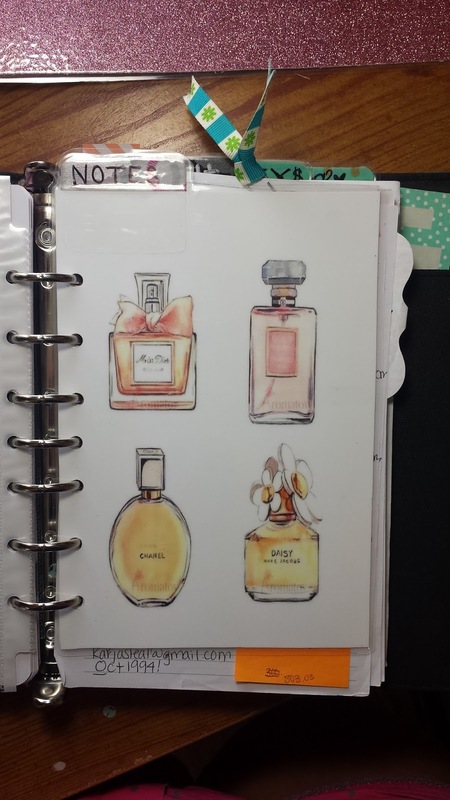 This is the planner I am currently using. 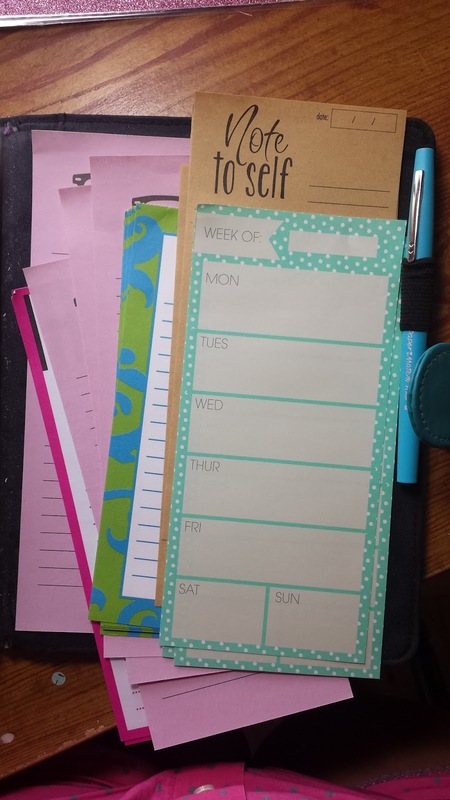 It is a Day Timer agenda, that is refillable, and it cost me about $35. 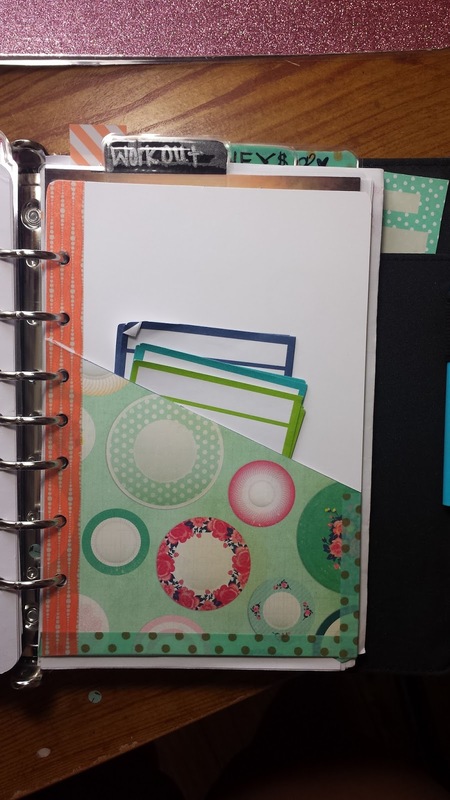 The reason I got this compared to a spiral one is because I get planners every single year and the 8.5 X 11 spiral planners that I like and are cute enough, are about $25+ and that’s EACH YEAR. That may not seem much for a whole year, but that’s $25 I could be spending on other things, or even saving! 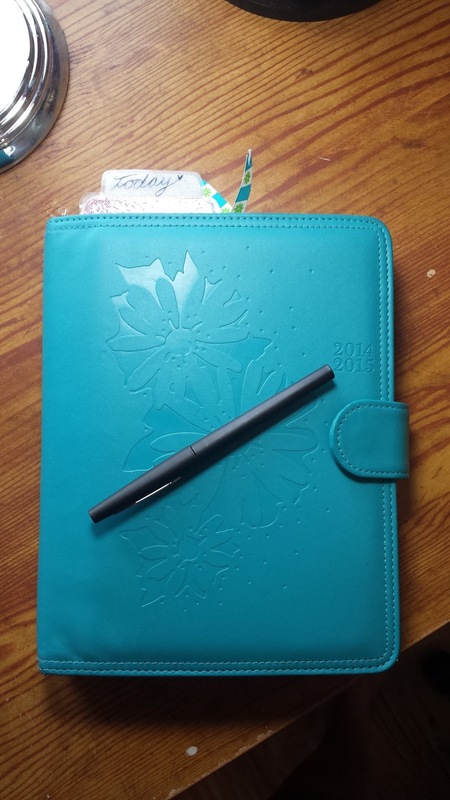 You’re probably saying, ‘you didn’t want to spend $25 on a planner, yet you spend $35’, Yes I see how that may be dumb, in a sense, but I mentioned it is refillable! Which works out perfectly! I can download free printables to insert, make my own on excel, or even buy inserts off of an etsy shop for a few bucks. 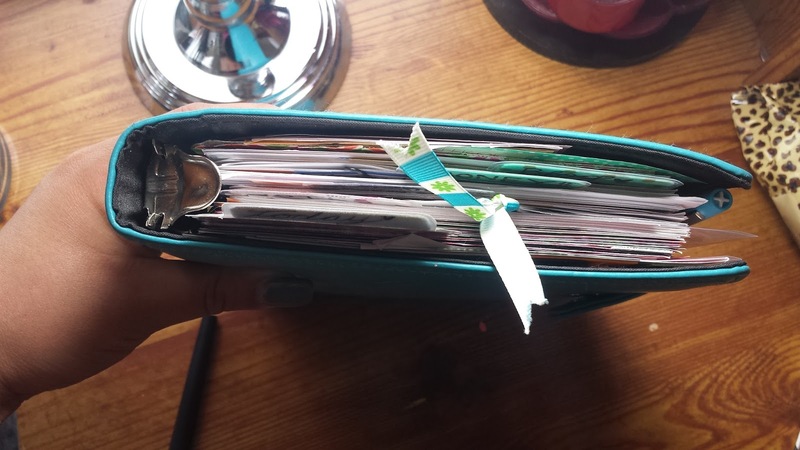 Don’t get me wrong, it is expensive to keep up with your planner (THE WAY I DO, I MEAN) You’ll understand once we begin! So you are still reading this to see what is going on in here, so let’s begin! 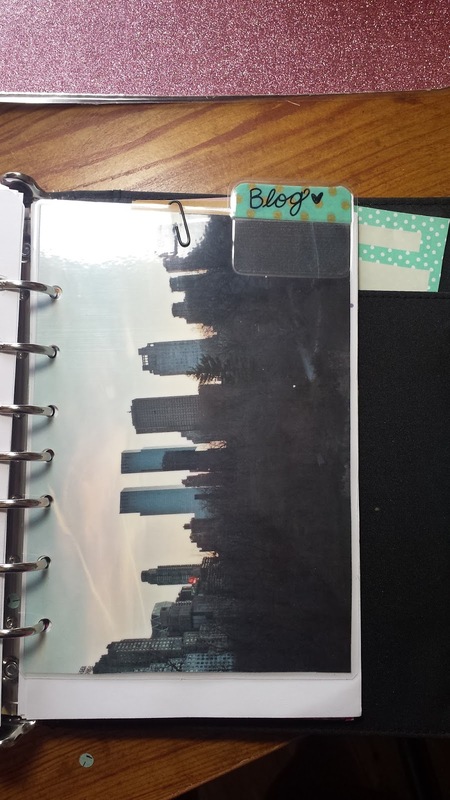 Once flipping my first divider you will come to my DASHBOARD! Okay, so what is a dashboard, you ask? This is basically, either a laminated decorative paper, a fly leaf, or in my case a sheet protector. This is where your “on the go” post its would be held, if you decide to create one. I stick sticky notes, and page flags here. I also have these neon labels, which I forgot to mention are in a pocket in the front, and these are to label important dates for classes. I am currently taking four classes so I can color code each class, but you can do different things with them! ITS ALL UP TO YOU, HONESTLY. After that, your months begin. 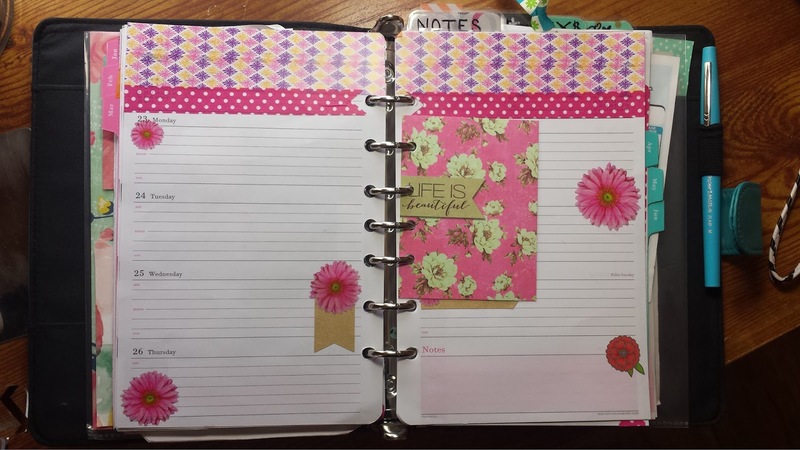 This is the month of February, which you can not see at the top of that page, but in person you can 🙂 I added decorative tape, or washi tape, as you may start hearing, at the top of the page. 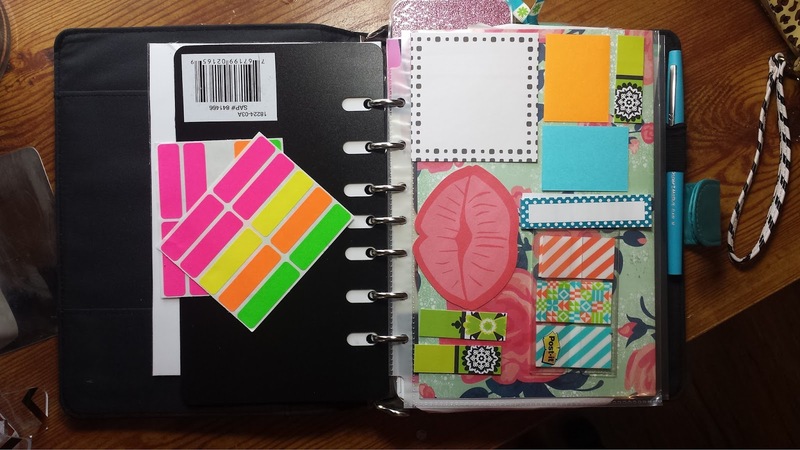 I also added different stickers to add more color (This is one of my simple months) I added a sticker to label Valentine’s day and I added a sticker that reads happiness at the bottom. You can see that green page flag at the top, I use page flags when things are not set in stone. 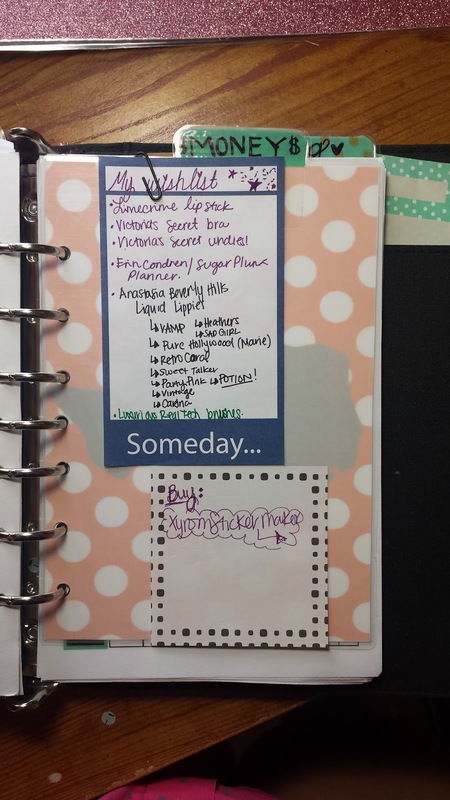 Example: Going out with my friends, I understand we have things that come up, so I never write it in my planner ( I only use pens on my planner) I’ll use a page flag when I schedule events like that, if plans follow through,I will either keep the page flag there or I will remove it and write it in. I don’t use my monthly view very often, if I do it’s for holidays, school activities, or birthdays. So here is my Week at a glance. Same concept, decorative tape at the top ( I do this to my weeks because it has like a to-do list at the top& I don’t really like it. ) and Stickers where I see fit. You can do anything you’d like. I insert motivational cards within the weeks just to make me smile, motivate me, or it makes me laugh. 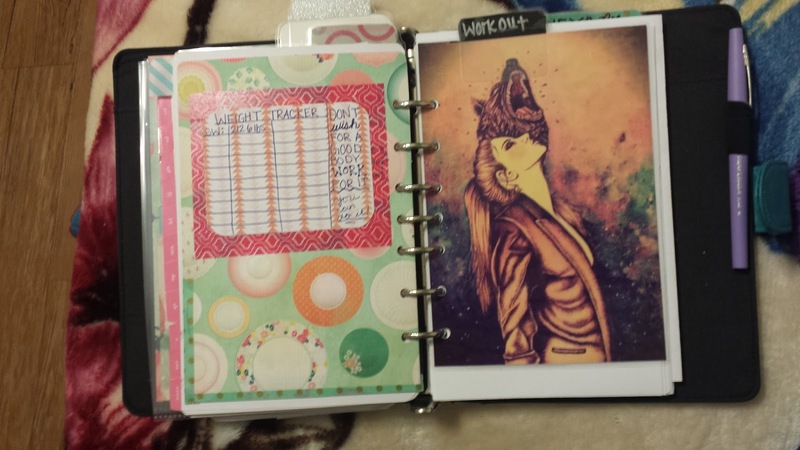 My workout divider is my favorite! I think the wolf coming out of the girl is the cooliest! In front of that I have a mini pocket folder and behind that I just have a small insert card with my weigh-in information. The paper behind the divider is just filled with workout logs and food logs, so I can keep up with what I’m doing on a daily basis. MONEY!! We all love money! well I like to know how much is leaving my bank account, so behind the whole divider is a log of my transactions or my cash spending. BASIC INFO. In front of my money divider I have a wishlist. Some things have been scratched off since this picture (SO BE READY), but nothing new has been added. I like to keep this in front of my divider because it will be the first thing I see, and it will motivate me to save up. Last, but not least, I have a pocket in the back that is filled with long to-do list papers. I use this inside my weeks. 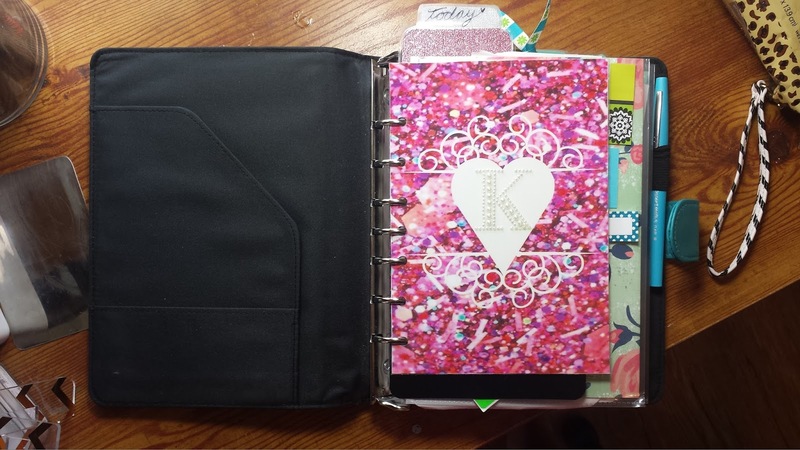 Such as for school I will post things I need to do right away (Not like homework where I have a few days to do it) I put in like, “go speak to teacher about grades,” “arrange gym bag” so on and so forth & that is it for my virtual tour of my planner!! 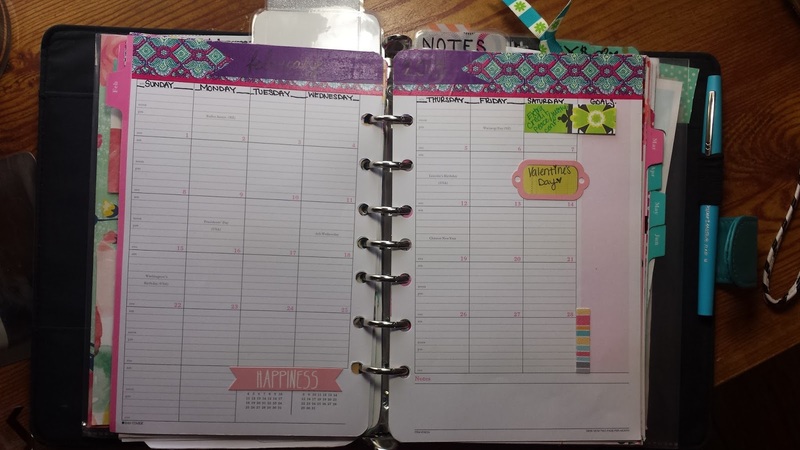 This is the way I use my planner, and you do not have to do it just like this, but I do hope I helped you and gave you some ideas. If you have any question on tips, ideas, or where to get items, don’t be afraid to ask me. I live for this stuff!! I hope you all enjoyed! Don’t forget, comment and subscribe! Dramatic Valentine’s Day Look: TUTORIAL!